This low level view of the Parsons generator clearly shows the AEI control panel behind it. This is probably the second most modern switchgear in the building, being installed between 1960 and 1967. (The Siemens switchgear in the annex is the most modern). 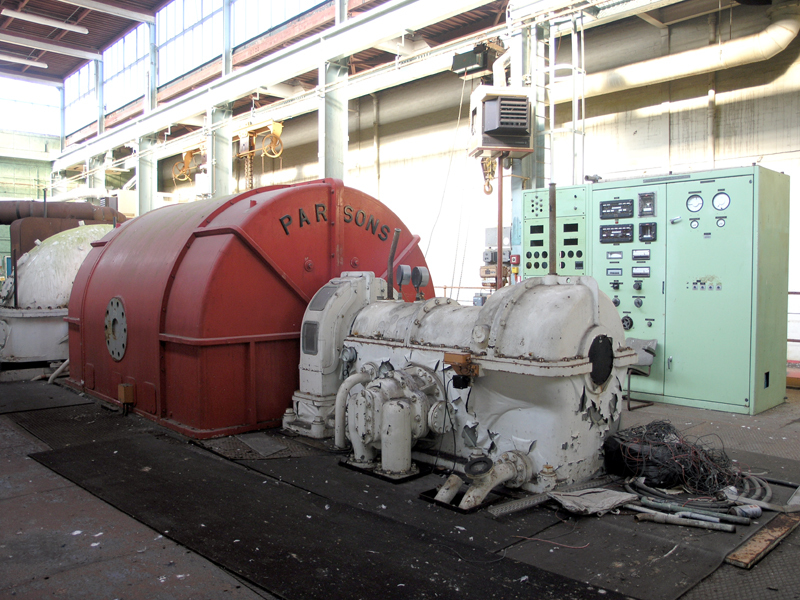 End view of the Parsons generator and its AEI control panel.